The second day of my stay in Davao. After the morning routine I went to the site located in Davao Doctors Hospital. 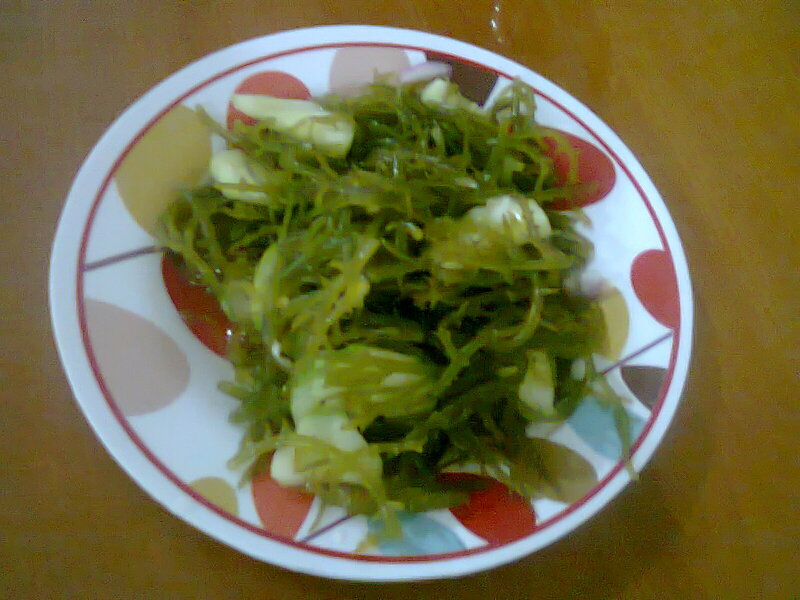 And on lunch, I ate a new dish. 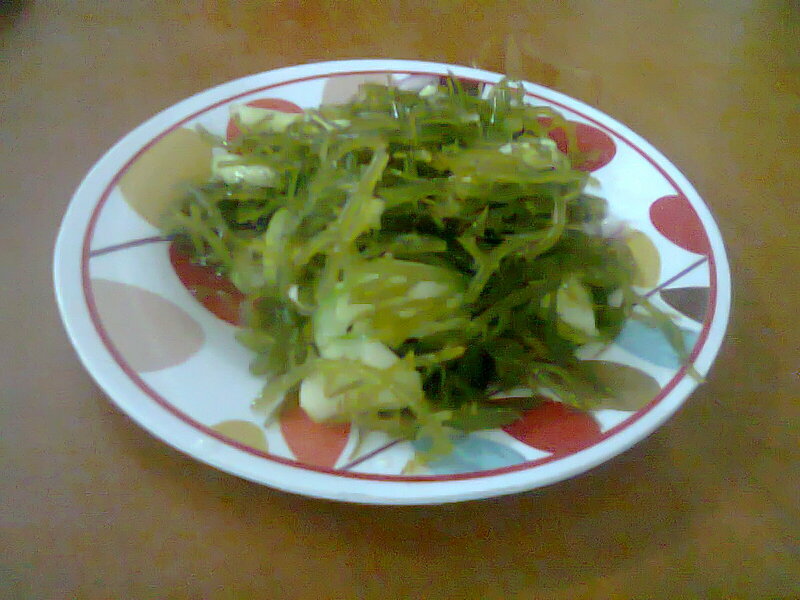 It's called "guso", salad made from seaweeds. The taste was sour because of the vinegar. It also has cucumber and onion. After lunch we went to another site of the company located in a subdivision in Matina. It is said that there are houses owned by relatives of Ampatuan. If you don't know who he is, google is your friend. 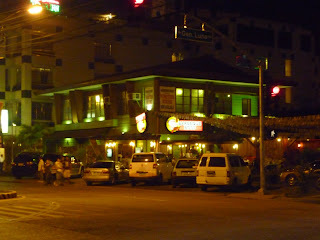 I came back to Davao Doctors Hospital at around 5:45pm and went to Tower Inn at 6:40pm. Ate my dinner in one of the carinderias found in downtown. 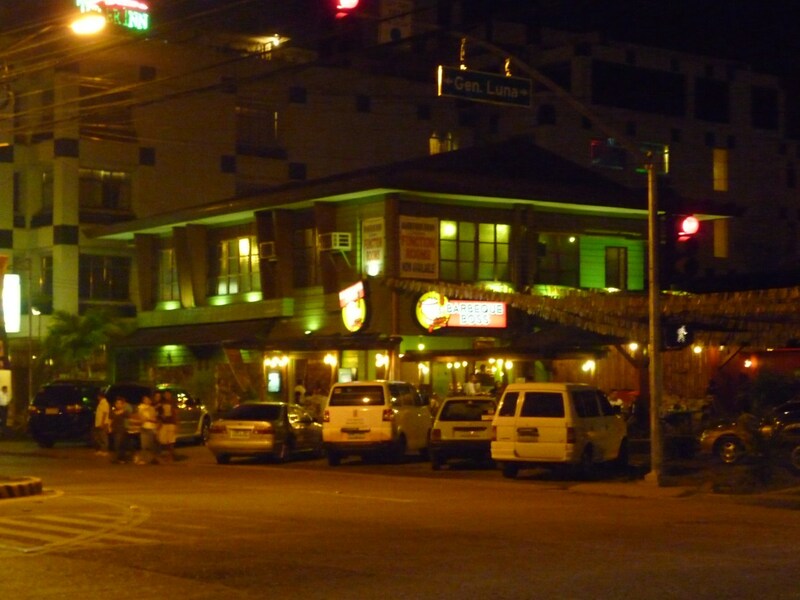 Upon walking the downtown, there are many bars you can go to. And beside the Tower Inn there is a bar named Barbecue Boss. I haven't tried to enter the place but it's pretty neat. It also has a wifi zone so geeks and alike can surf the net for free.